A mild intensity earthquake jolted Guwahati, the gateway to the Northeast and its neighbouring areas at 7.55 pm on Wednesday. 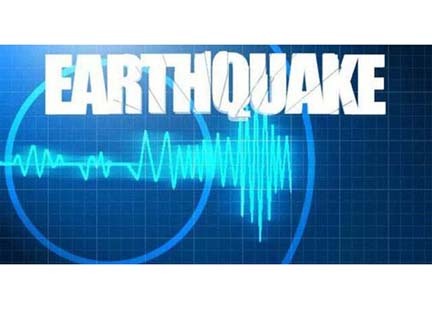 As per the Regional Meteorological Centre (RMC), Borjhar website, the earthquake measured 4.1 in the Richter scale. The epicentre of the earthquake was located at a depth of 15 km in Kamrup district of Assam. However, there is no report of any damage caused by the earthquake. It may be mentioned that a moderate intensity earthquake measuring around 4.9 on the Richter scale hit Guwahati city and other parts of Assam on June 11, 2018. The earthquake struck around 10.23 am, according to reports. Sources said the epicentre of the earthquake was Middle Assam’s Dhing in Nagaon district. The depth of the earthquake was 10.0 km. The quake on June 11 which lasted for nearly a minute caused panic among the people who rushed out of their houses and offices to the open spaces outside.